Spanish philosopher and essayist, he attained his degree in the Faculty of Letters and Philosophy of Madrid in 1902 with a thesis titled Los terrores del año mil. Crítica de una legenda. From 1905 to 1907 he studied in Germany, in Leipzig, Nuremberg, Cologne, Berlin and Marburg, where he was a student of Hermann Cohen. He taught metaphysics at the University of Madrid from 1910 to 1936. In 1923 he founded the Revista de Occidente; in 1948 he created the Institudo de Humanidades, together with his follower Julián Marias. 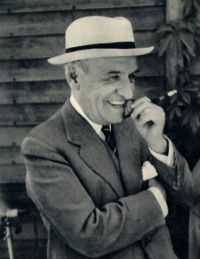 Ortega y Gasset was an exponent of existentialism and of perspectivism, then of rational-vitalism, against the degeneration brought on by the standardization of values; following Nietzsche’s lead, he wished for the formation of an aristocratic minority, caretaker and interpreter of the highest spiritual traditions. 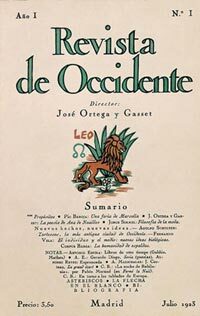 Main works: Meditaciones del Quijote (1914); El Espectador (1916-1934); España invertebrada. Bosquejo de algunos pensamientos históricos (1922); La deshumanización del arte e ideas sobre la novela (1925); Historia como sistema y Del Imperio romano (1941); El hombre y la gente (1957); ¿Qué es filosofía? (1958). Bibliography: J. Ferrater Mora, Ortega y Gasset: etapas de una filosofia, Barcelona 1958; N.R. Orringer, Ortega y sus fuentes germanicas, Madrid 1979; C. Moron Arroyo, El sistema de Ortega y Gasset, Madrid 1968; A. Savignano, J. Ortega y Gasset: la ragion vitale e storica, Firenze 1984; A. Savignano, Unamuno, Ortega, Zubiri: tre voci della filosofia del Novecento, Napoli 1989. Ortega y Gasset’s library, donated by his heirs to the Fundación José Ortega y Gasset (FJOG), contains 8,900 descriptions. The Archives contain written and photographic materials which come from the collections of José Ortega y Gasset and of the Ortega Munilla-Gasset and Spottorno Topete families. 4) in the field “Escriba palabra(s) o frase” write ORT.